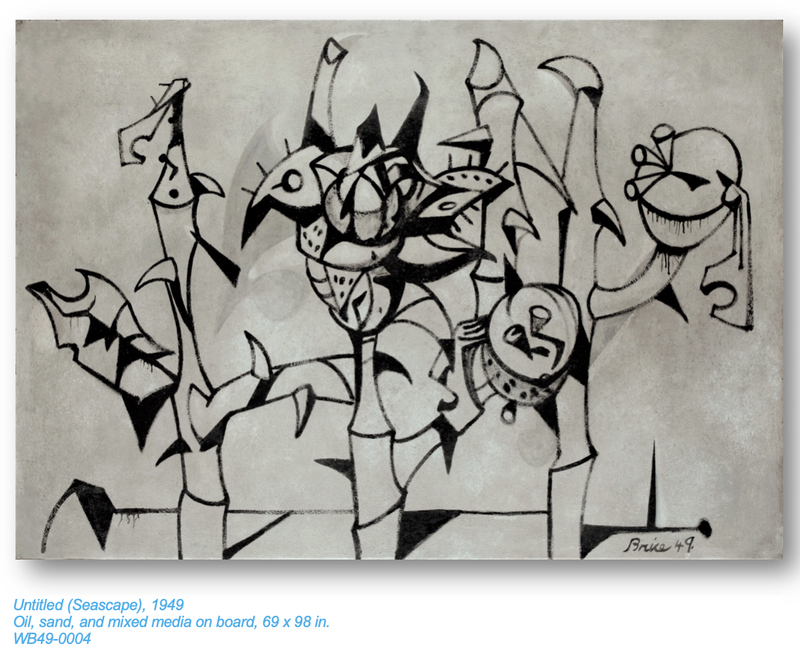 On a lark in 1949, my father and his close friend and fellow painter, Howard Warshaw, had an itch to paint murals on adobe walls. 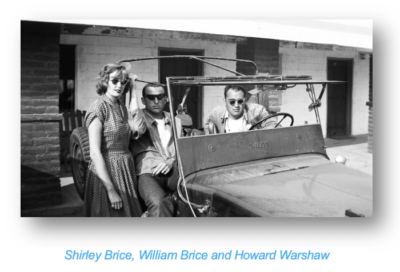 So, they jumped in their Willys jeep and drove with their young wives and another couple from LA to the sunny, wide, white Pacific beaches of Ensenada, Mexico, in the hopes of finding an abandoned building and a real good time. To the ‘cultured’ of SoCal, all things Mexico were exotic and hip: Rivera, Orozco, folk art and crafts, Mexican churches, Mexican food, Tequila, Spanish Colonial architecture, Day of the Dead, handmade fabrics, you name it. They stayed at the nearby El Rosarito Beach Resort & Country Club Hotel. The iconic, 500-room hotel, on the empty, vast Baja California beach, was a romantic hideaway close enough to Hollywood that it attracted a “galaxy of stars” from Kirk Douglas, Orson Welles, John Wayne, Gregory Peck, Vincent Price, Frank Sinatra, Burgess Meredith, Ali Khan, to the glamorous leading ladies, Rita Hayworth, Marilyn Monroe, Kim Novak, Joan Bennett and Lana Turner, and scores of others such as several Mexican Presidents…and it wasn’t expensive. Brice and Warshaw found just the abandoned, adobe building they required, which was not far from the hotel. 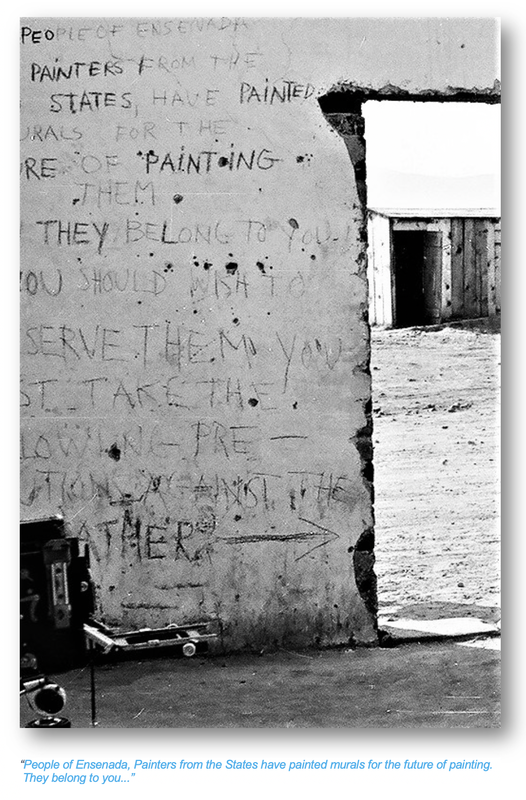 By day they invented their murals, often visited by local men and children, who came by with such curiosity over why these gringos were wasting their time painting dilapidated adobe walls, only to marvel at the sights they encountered. But what happened in Ensenada didn’t stay in Ensenada. 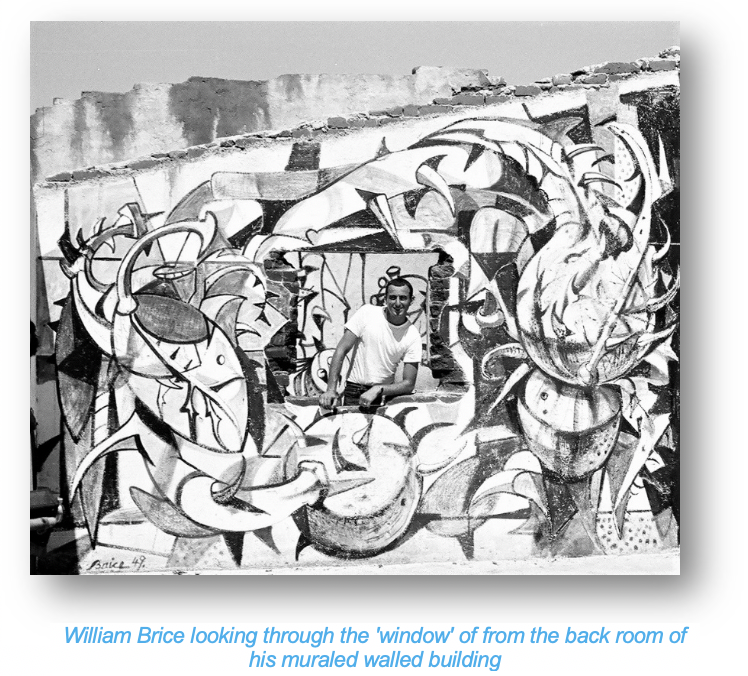 I don’t know the full story, but after leaving their art on Ensenada walls, Brice painted a big replica of a fragment from his mural. It was a black and sand colored painting on a ground of sand mixed with paint—as if the painting was slice of a fresco. 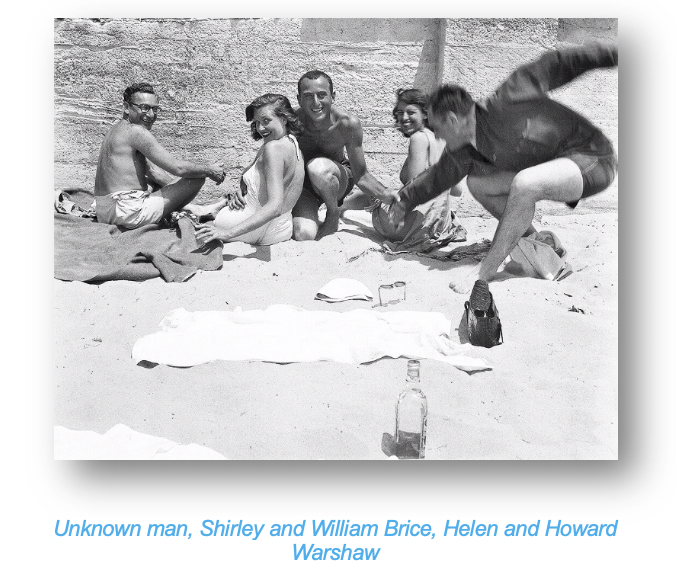 By the way, stone, rock and sand were and continued to be core, thematic elements in my father’s work throughout his life, one that for him had many connotations. In 1958, ten years after these Ensenada murals, my father applied to the Chancellor of UCLA for a six-month sabbatical leave to study medieval and Renaissance frescoes in France and Italy and did with my mother and me happily in tow. 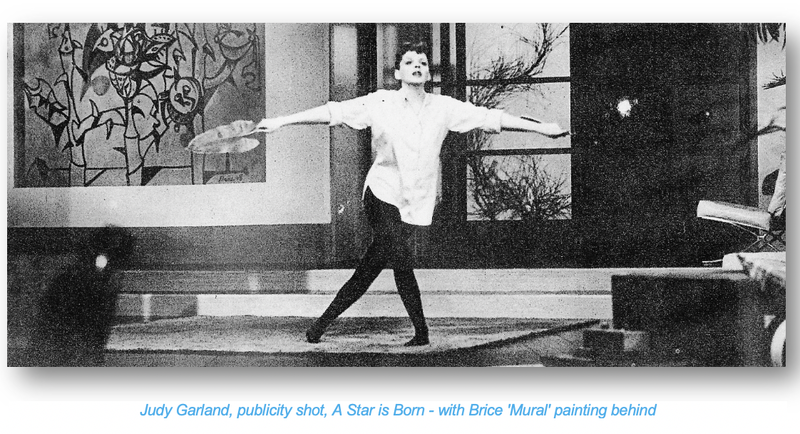 Back to the replica of the Mexican mural my father painted—it appeared as set dressing in the 1954, Judy Garland version of A Star is Born. Further back in 1942, my father had briefly worked for Metro-Goldwyn-Mayer designing sets and painting ‘masterpieces’ for their films, creating ersatz Cézannes and Rembrandts. But that was years before A Star is Born. 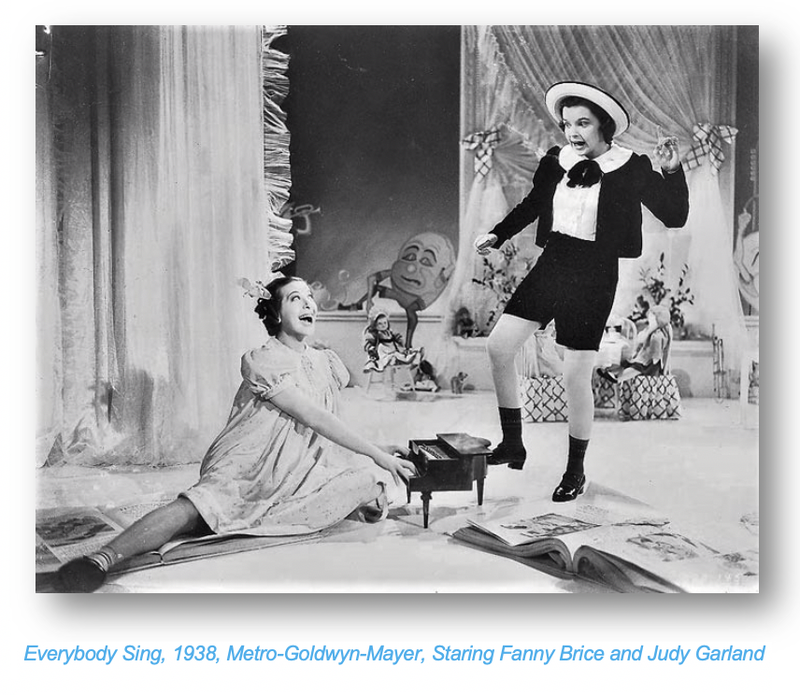 And there was another ‘coincidence’; his mother had co-starred with Judy Garland in the 1938 MGM movie, Everybody Sing, and they remained close friends.